Hyatt is committed to the development of our colleagues and advancing their careers. Careers at Hyatt don’t have to follow a traditional path. At Hyatt, your career path can be customized and adapted based on your individual circumstances and preferences. 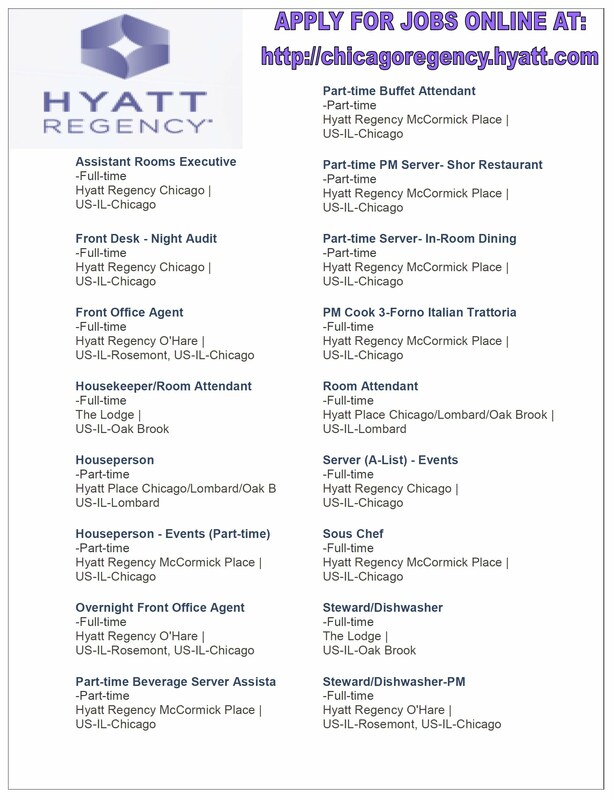 While you may begin your career on a Food and Beverage or Rooms team, career options at Hyatt are unlimited. You can work your way into management roles or decide to pursue career opportunities in one of the many different functions or fields in our industry as well as seek out opportunities to work in other cultures and countries. As we grow, we will be investing in much more than hotel properties - we will also be investing in the communities we serve and the people who join our team, so the opportunities for growth and advancement in your career with Hyatt are unlimited!